Increase organic search traffic by up to 84% by publishing unique product descriptions. With OneSpace, you can combine your internal teams with freelance product description writers in one virtual workspace, helping you create high-quality product content faster than ever before. 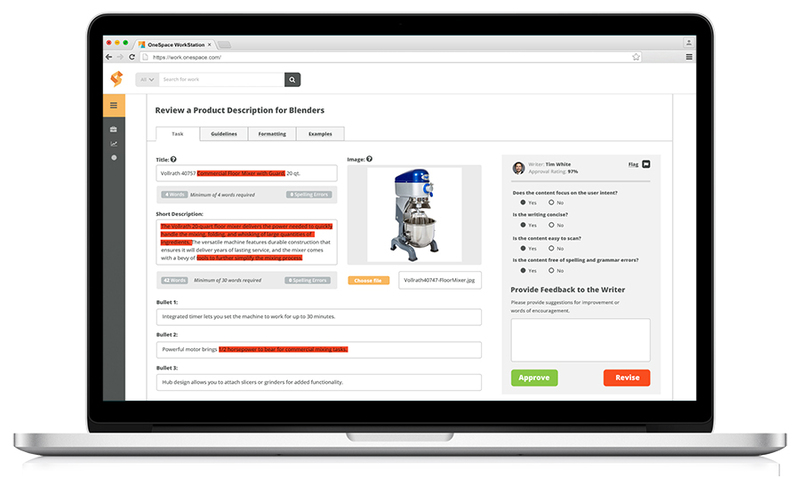 OneSpace has helped create product descriptions for the world’s leading manufacturers and retailers, from CPG companies to online marketplaces. created 1,028 product descriptions in one month. created 3,798 product descriptions in one month. Detail the key features and benefits of every product in your catalog. 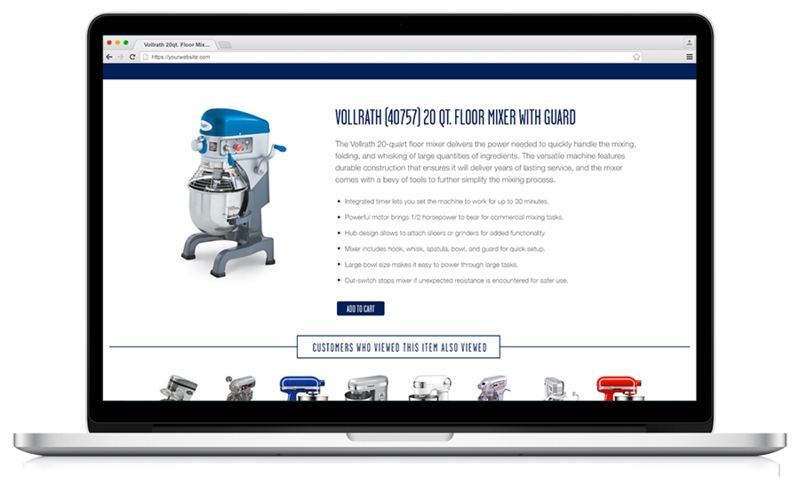 By creating compelling, sensory-rich descriptions, you can increase your online sales by a minimum of 30%. Avoid Risk: Avoid Google penalties for using duplicate content. Attract: Increase traffic from organic search. Inspire: Influence shoppers’ purchasing decisions. Convert: Boost online sales by 30% or more. 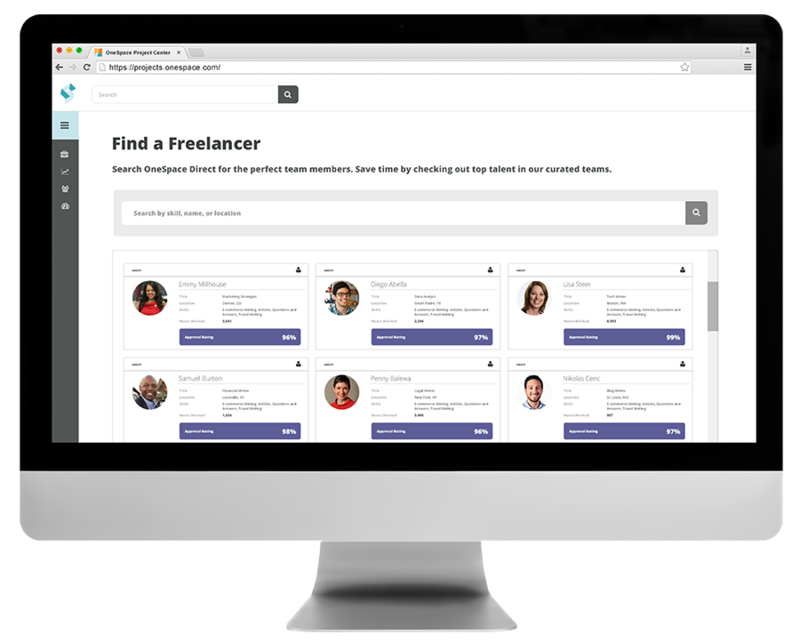 OneSpace is a workflow automation platform with a built-in network of freelance e-commerce professionals. Every subscription comes with a robust suite of features designed to help you execute your product content creation and review processes at scale. 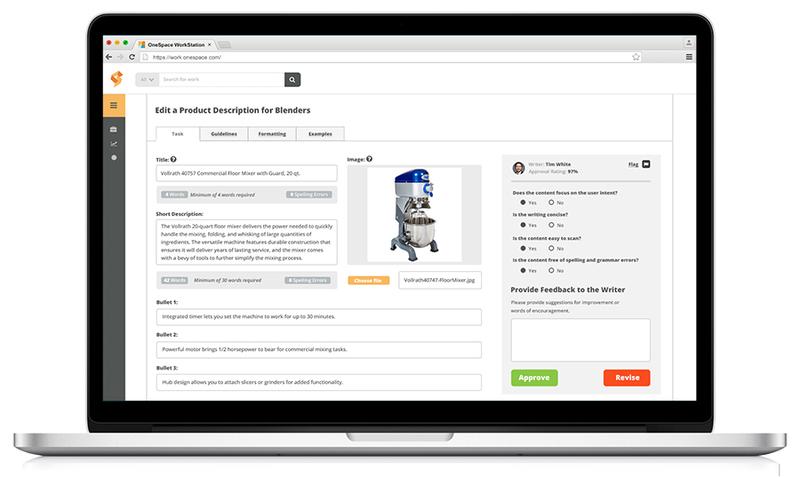 Onboard your existing talent and amplify as needed with instant access to our hand-curated network of product description writers. Post custom assignments to a virtual workspace that your internal and external teams can use to submit work anywhere, anytime. Gain valuable insight into important performance metrics with advanced reporting tools and quality-control features. Publish descriptions at scale and optimize cost, velocity and quality using our point-and-click workflow automation tools. 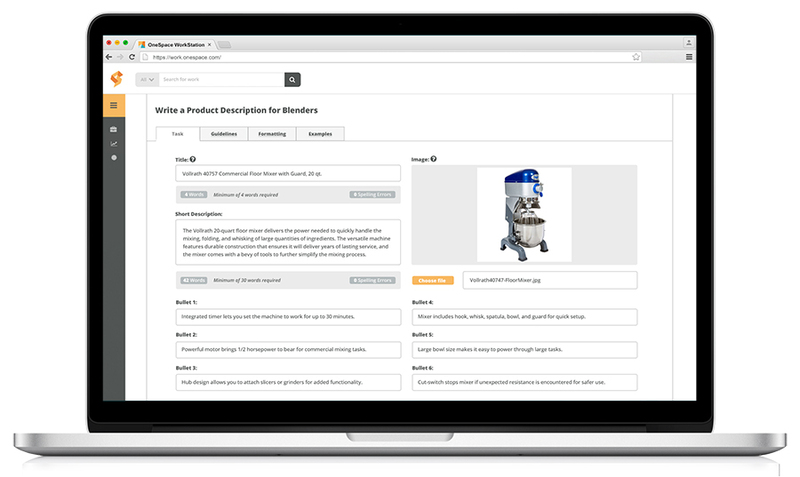 Start creating product descriptions in minutes using OneSpace’s customizable workflow templates. Each template is pre-optimized for organic and internal site search and contains instructions based on industry best practices. Supply the writer with a product and any important details provided by the manufacturer. An experienced product description writer creates a compelling description based on the details and brand guidelines you provide. A trusted e-commerce editor corrects the writer’s work for grammar, style, formatting and brand voice errors. A trusted content reviewer or member of your internal team reviews the final product description to ensure it meets all requirements. 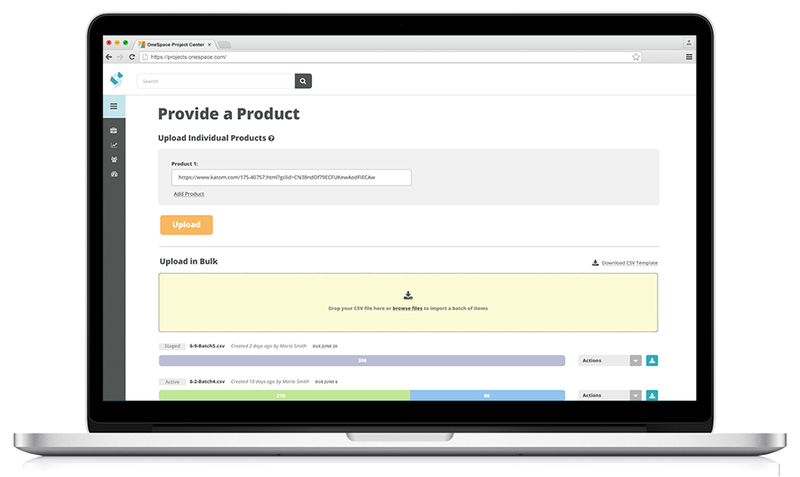 Upload the completed product description to your website, or publish automatically via our API. Gain instant access to the best talent OneSpace Direct has to offer with our hand-curated teams of freelance e-commerce professionals. These writers and editors are heavily vetted and have experience creating product content for e-commerce giants such as Staples and Sears.